Have you ever got tired of squinting at text? Do you prefer to have it read aloud? 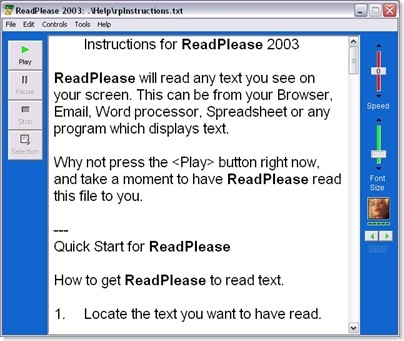 Then this free read-aloud tool, called ReadPlease, is for you! 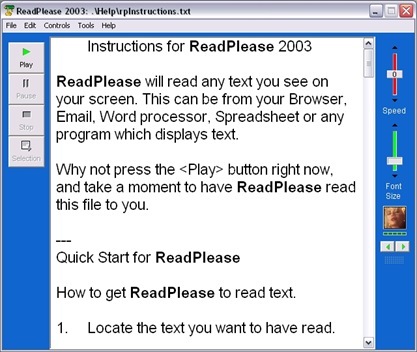 Now you just have to sit back and relax while ReadPlease does all the hard work . This tool lives up to its name. If you’ve a post you want to read, just copy the words, and paste it into ReadPlease. Press the play button, and ReadPlease will read aloud every word in that article. You can also save the text in ReadPlease in its format. Actually, ReadPlease can read all kinds of text, even ‘sdaisjdijiaojsoid’ or ‘mumumumuunununun’. It will just read them out. 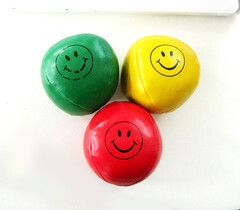 If you type ‘dddddddddddddddddd’, it would just speak, “Dee dee dee dee dee dee dee..”. 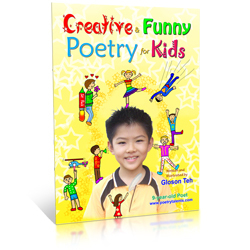 This is also a great tool for children to experiment with. And did I mention? It is free! Except for the more advanced version (called ReadPlease Plus) for which you have to purchase ($49.95). The advanced version has more features. But the free version is probably enough for you. ReadPlease Plus has a free trial period of 30 days, but the free version never expires. You can download ReadPlease here. For the direct download, click here. ReadPlease also can read aloud in other languages, such as German or French. It also can read in British-English. You just have to download the languages from the site. ReadPlease, by default has four voices – two males’, and two females’. They are all in American English. The text would be read differently, according to whose voice you pick. You can also choose the speed of reading. If you choose fast, the article would be read finished quickly. You can choose how large you want the text to be, so it suits your eyes. To modify the appearance and the font, click ‘Tools’ then ‘Options’, where you also can modify other stuff. When you first open it, the window may seem too narrow. To widen it, simply stretch the window by dragging its corner. Now you don’t have to spend a hard time squinting at an article, but paste it in ReadPlease and relax . Thanks for sharing this information my friend. I already downloaded the software.